It's already the last day of HFW and it's been 7 inspiring days I must say! Phew! Today's theme is party hostess and by far my most favorite! For Party Hostess I wanted to try my hands on colour blocking because as you know I'm a huge fan of colour and this would be a totally fun look to wear to a party! 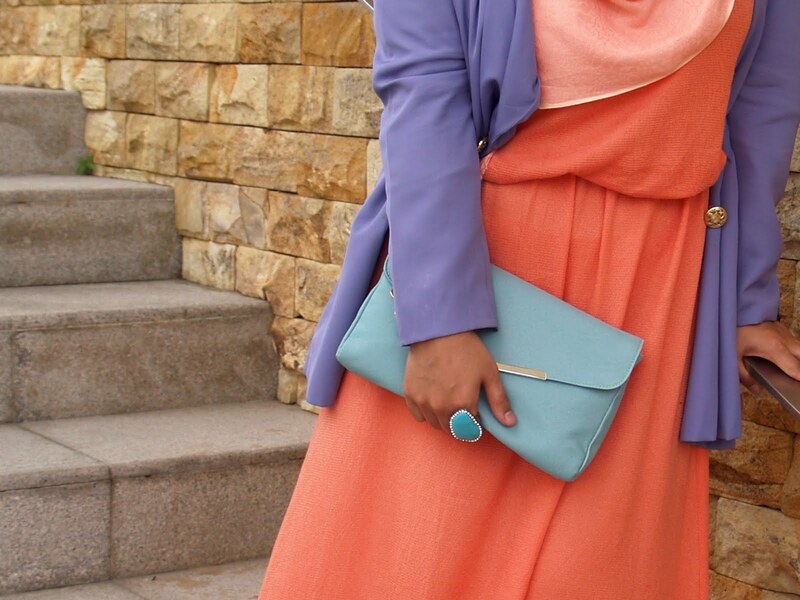 I love the combination of tangerine, teal and purple:) I would imagine wearing this if I were to host a tea party like the one Hana Tajima had hosted for us a while ago. Or perhaps hosting a little get together with my close friends:) Regardless, I think a party hostess should look fresh and electric and this would defintely be the perfect outfit!! WOW. Holy shift I'm in love!!!!!!!!!!!!!!!!!!!!! 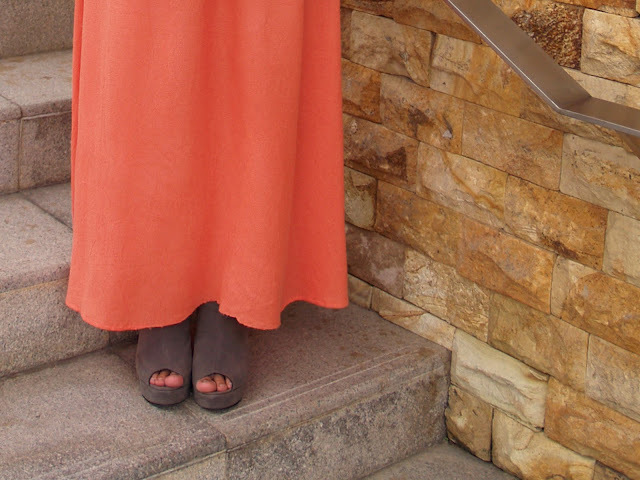 We picked the same colour scheme =) I looove this outfit. It's perfect. There's nothing more to say. You make me feel so happy to be a hijabi, alhamdulillah. Assalammualaikum Aishah..love all ur outfits! This style suits you very well and you'r beautiful ! this is cool kak aisyah :)love it so much!